Orlando "Maraca" Valle, the great flutist, composer, keyboard player, and percussionist visited LP® on September, 23, along with members of his band. It was a pleasure to hear them play and have them record some tracks for the upcoming LP® holiday CD. Thanks to his wife, Celine, for making the session go so smooth and easy. 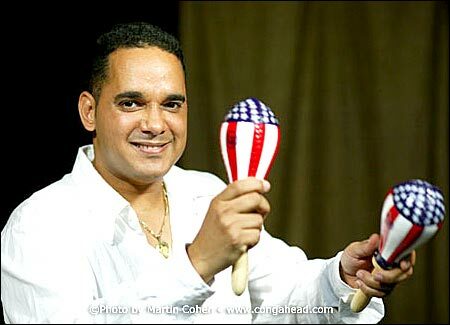 Maraca Y Otra Vision is Orlando 'Maraca' Valle, Bandleader/Flute/Guiro; Victor Miranda Rodriguez, Bass; Irving Ferreyro Alfonso, Piano; Rafael Valiente Morejon, Bongo/Conga/Percussion and Celine Chauveau, Manager.